For purposes of maximum efficiency of your visit to the exhibition "Оbuv. Mir Kozhi", we suggest that you plan your activity in advance. 1. Set clear goals for your visit. 2. Draw up a work plan. Decide what tasks you have, what you are looking for, what should be done in the first place, etc. 3. Familiarize with the exhibition theme and the core activity of exhibitors in advance. You can find detailed information on the exhibition website. 4. 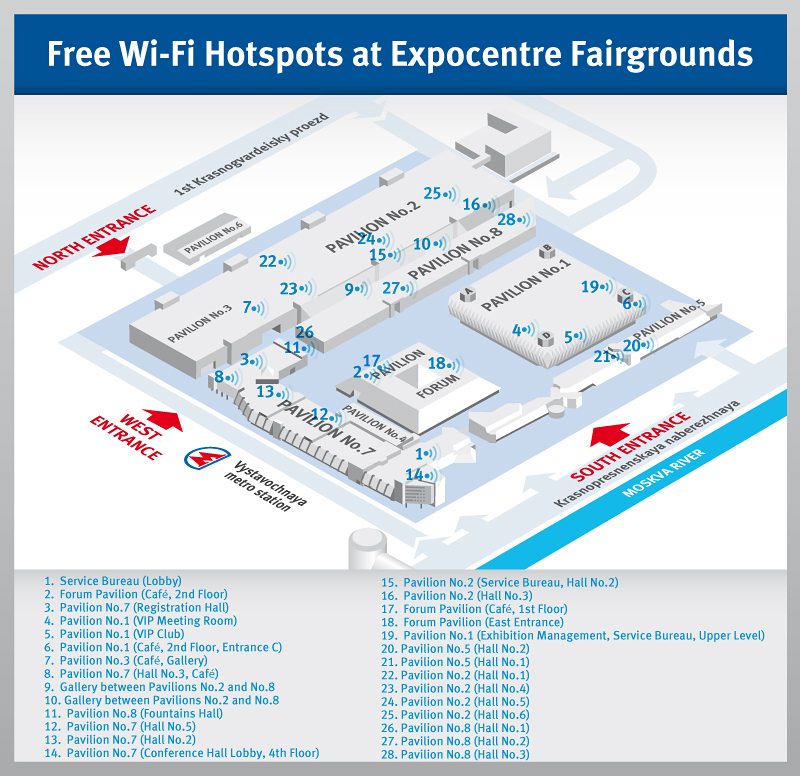 Have a look at the plan of exhibition events in advance. Choose the events of your interest; plan your time to visit stands and to attend events of the business program. 5. Register on the website to receive an e-ticket. For accessing the exhibition, print your e-ticket, show it in the registration zone and receive a badge for entering the Expocentre Central Exhibition Center. 6. Choose the most convenient travel directions to the exhibition. 7. View in advance with the infrastructure of the Expocentre Central Exhibition Center. Scheme of exhibition complex Find out where you can park your car, use a copying machine or a fax, connect to the Internet, request translation services, print your materials, etc. This will make you feel confident and help rapidly perform your tasks. 8. Visit the exhibition together with colleagues. Make an individual work plan and plan a route around the exhibition for every employee of your company. By doing so, you can significantly increase the number of business contacts and visit more events. 9. Use the exhibition catalogue and guidebook. The exhibition catalogue contains an alphabetical list, a detailed description of core activities and contacts of exhibitors. During the period of the exhibition, you can get catalogues of the current exhibition: from 10 a.m. till 5 p.m. at the Registration Zones. 10. Contact exhibition organizers if you have any questions. They will help you find the company of your interest and show you the way to the stand or the event venue. 11. Use the exhibition as a convenient place for meeting both for exhibitors and your clients, partners and colleagues. The Expocentre Central Exhibition Center has comfortable cafes and restaurants. Add the dates of the exhibition "Оbuv. Mir Kozhi" to your calendar in order not to miss it. Book your hotel accommodation and air/rail ticket in advance if you are visiting an exhibition in another city http://www.obuv-expo.ru/en/visitors/hotels/. Bring a large quantity of your business cards to the exhibition. After the exhibition, process and analyze the obtained data and maintain the established contacts. If you have used the online registration service and received no e-ticket, contact Technical Support Service by email: sup@expocentr.ru. г) brief description of the problem. We will be unable to help you get registered and receive your ticket without this information! Call Technical Support Service for online visitor registration: 8 (495) 649-8810 (from 9 a.m. till 6 p.m. Moscow time on business days).